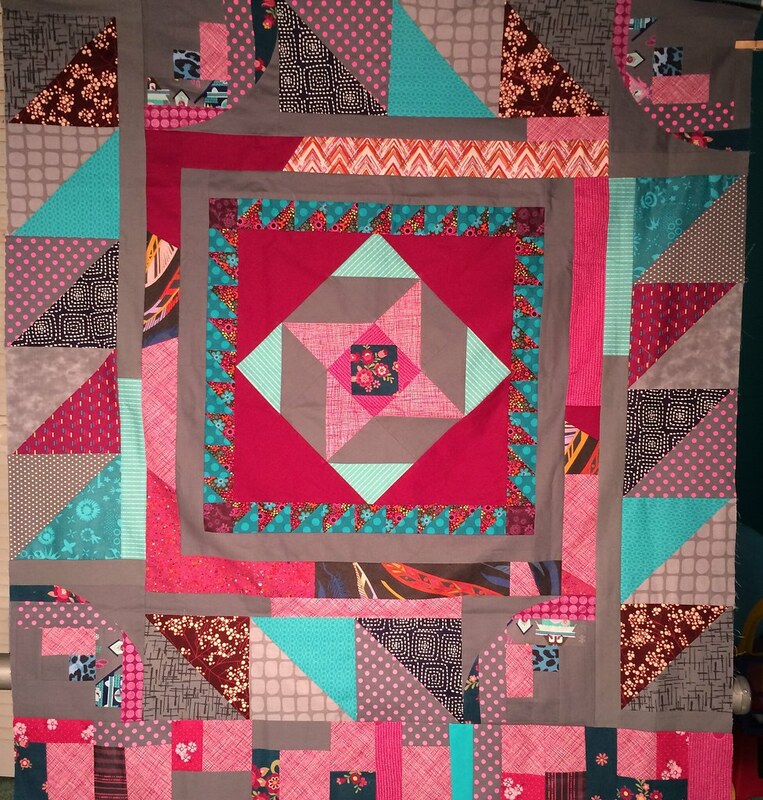 Pink Castle Blog: Quilting with Friends: Round Robins! 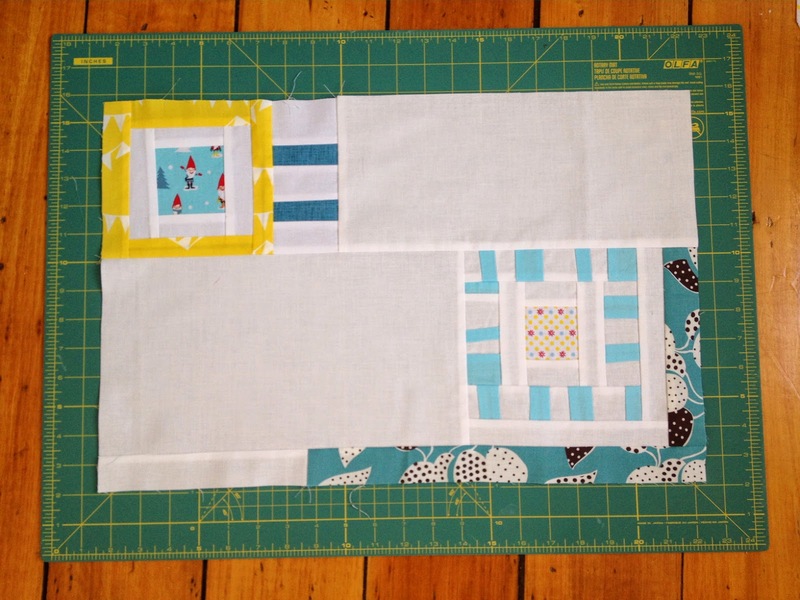 Quilting with Friends: Round Robins! 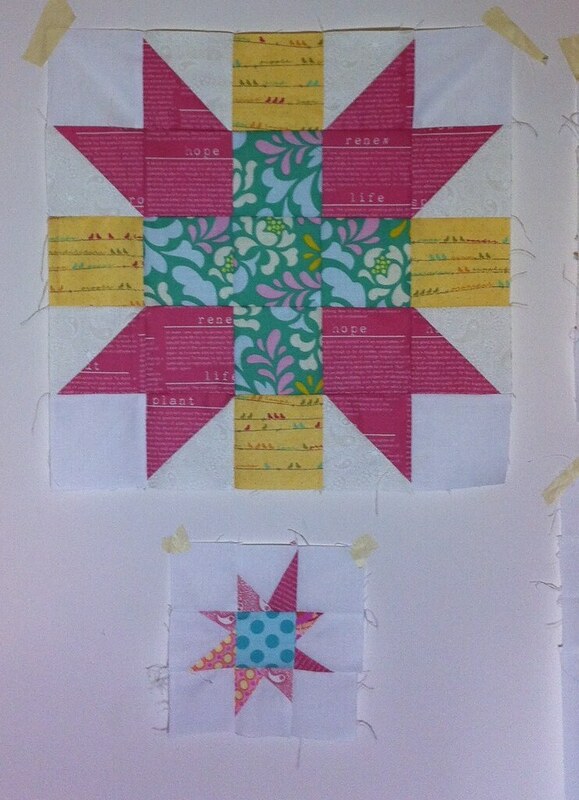 There are a few methods of having multiple people work on a quilt: bees, row quilts, and round robins. My local offshoot of the Modern Quilt Guild, the Ann Arbor Modern Quilt Guild runs an ongoing round robin (you have another member's quilt for a month, and then at the meeting we switch, and people can drop in or out as they chose), which I have participated in, and I spoke to a few other participants about the process. By now, months later, it has stopped being loose blocks as people have begun joining up stars into a top. Ginia, of Early Morning Quilter, says that when you write up your request you should make them concise and positive, and make sure to leave room for other quilters' creativity. She advises that a long list of instructions is intimidating, and can make the project feel like a chore, when it should be a fun challenge. 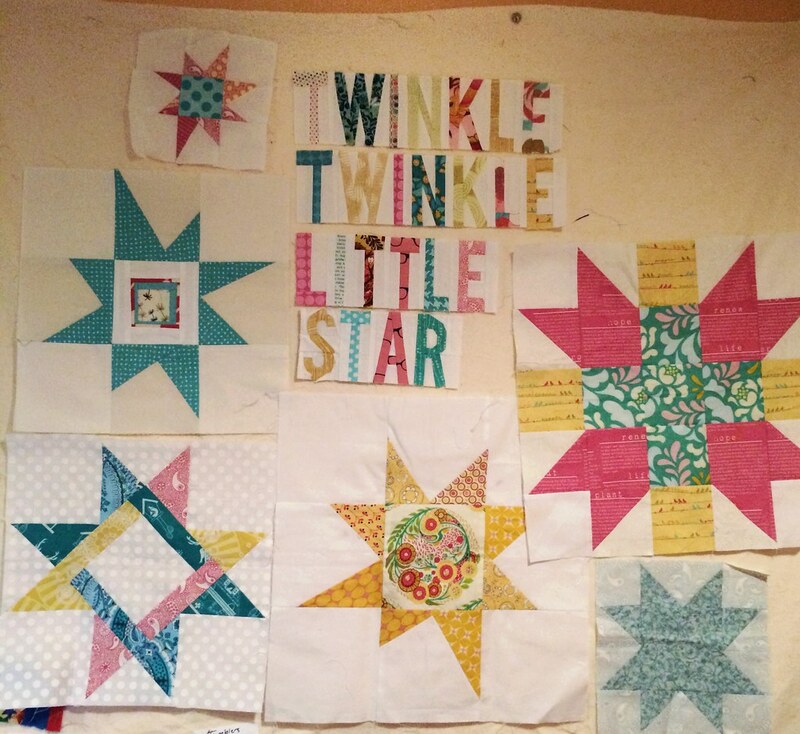 For her own round robin quilt, Ginia provided three orphan blocks from another project as her starting blocks. Dorie, of Tumbling Blocks, who is also our guild's round robin coordinator, suggests that you be clear with your instructions. If you want a specific type of quilt, or you dislike a color or a type of fabric, make sure you say so. 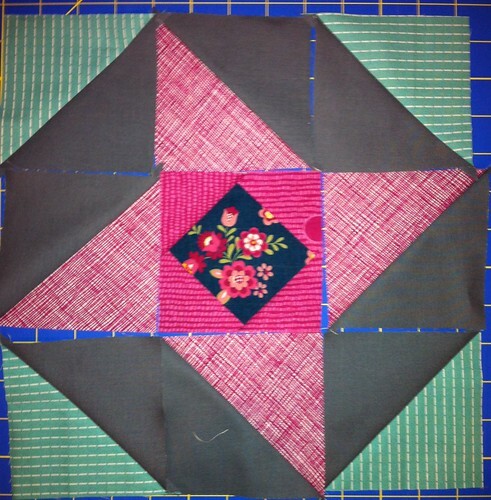 Dorie also suggests you need to look at the work that came before you got the quilt, and then add to it, coherently. Every quilt has a story to tell. I know when I get a round robin quilt to work on, I read the instructions, then lay it out and look at it for a few days before deciding what to do with it. 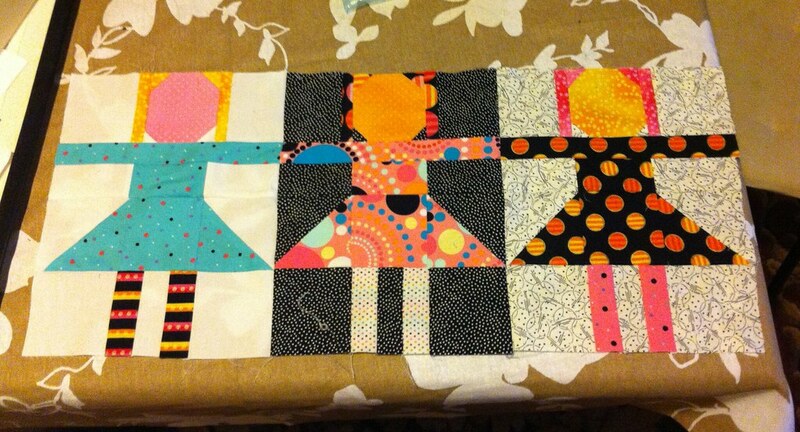 Jen's ( of Brave Little Chicken) round robin quilt, the theme is Indian Summer. I love having the (loose) constraints each month, whether it's a color scheme or block type or based on an artist's color theory work or a life story, it's a lot of fun to try to fit my own style and ideas into the rest of the quilt. It keeps me learning and practicing new techniques when I find something I think will go perfectly with the rest of the quilt but haven't tried it before. I also get to use fabrics and colors that are totally out of my comfort zone and sometimes find ones that I want to keep working with. The best part is seeing the finished work; you can still pick out each part that the very different quilters have contributed but they blend together to make a beautiful quilt. I agree. 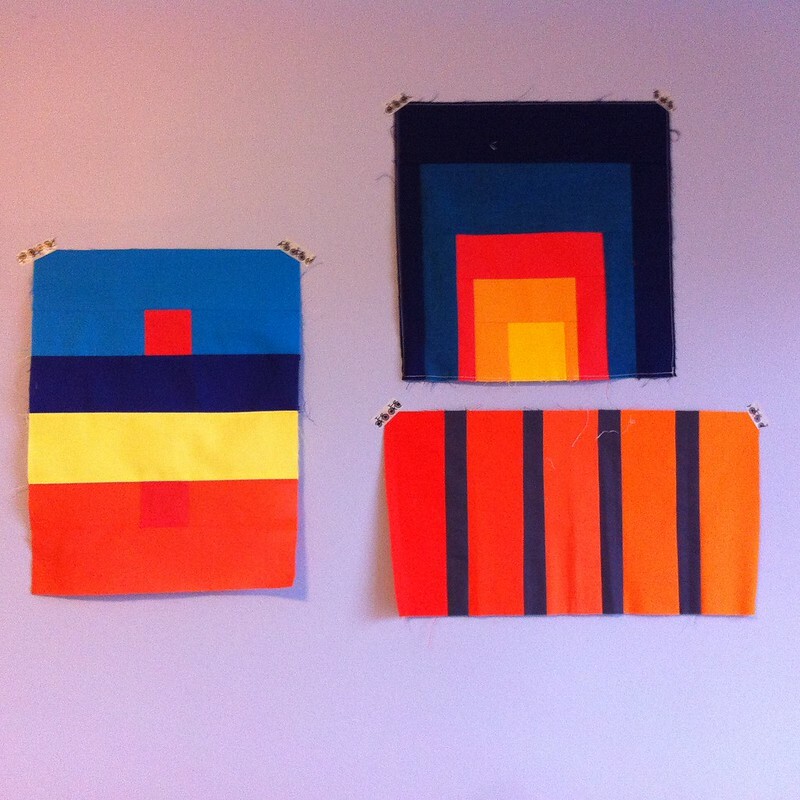 I've certainly attempted a number of new and newish techniques, and even come up with a new quilt design based on experiments started on other people's quilts during my participation in the round robin. 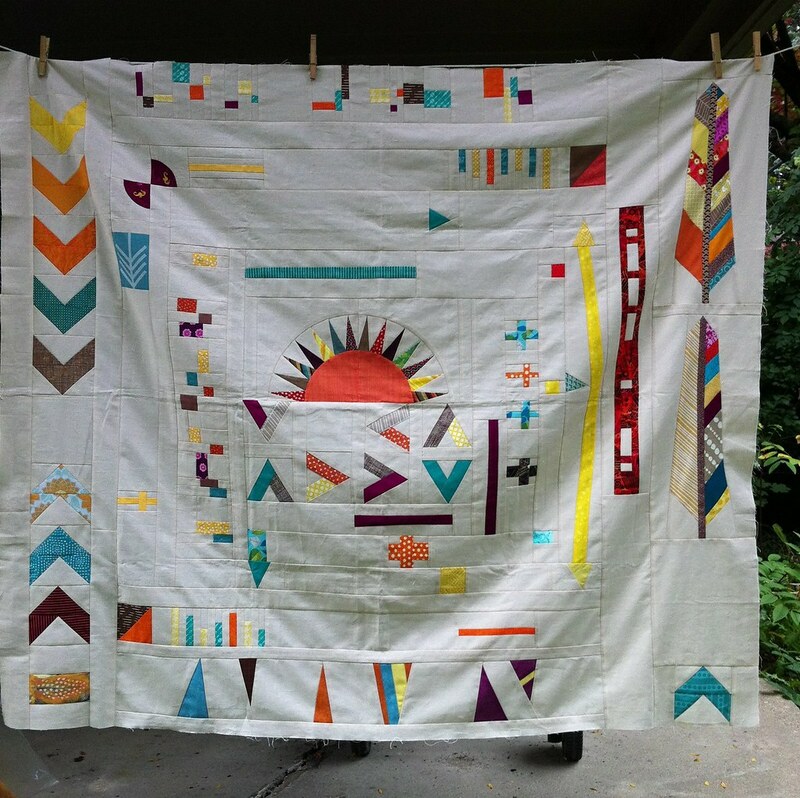 The main thing to remember, as most of my interviewees pointed out, is that the quilt you get won't look like the quilt you have in your mind, because no two minds (or quilters!) are exactly alike. But it may be even better! If you do a round robin like ours, chances are you will have a variety of hands working on it, from precision piecers to improv piecers, from experts to novices. So parts will look different, and yet, hopefully, coordinate into a harmonious whole. Special thanks to Ashley and Dorie for additional pictures!